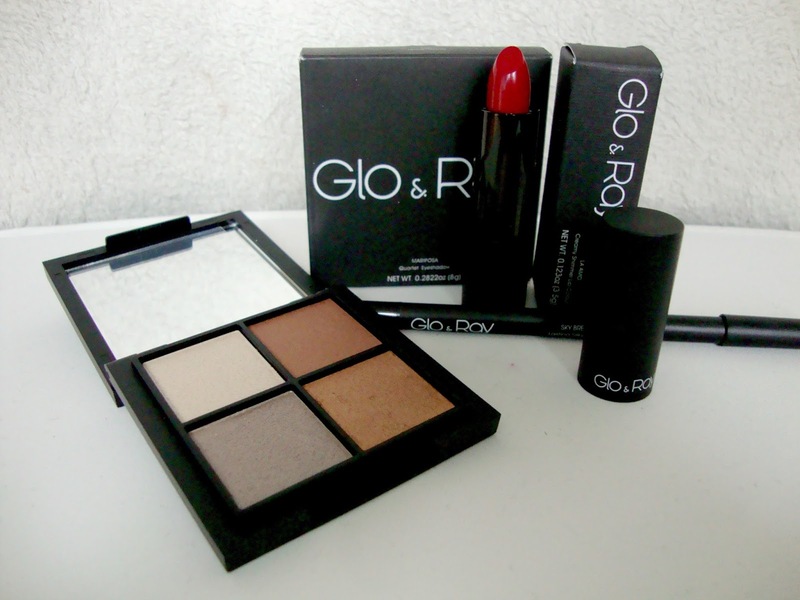 A few weeks back I posted Glo & Ray Cosmetics - First Look, about a make up brand I've come across in recent weeks from the UK. I've completely fell in love with their Sky Breaker Lasting Silky Eyeliner, it is one of the best eyeliners I have used in quite some time so when I saw the Mariposa Quartet Eyeshadow in Golden Dunes I knew I had to try it. I'm all about Autumn shades this week and Golden Dunes screams Autumn with its silky bronze and silver shadows. Golden Dunes contains the most beautiful colours, It's natural mineral particles give them a silky texture which means applying these is a dream and blending them is effortless. I'm wearing the lightest silver below my eye brow and a mix of the two bronze shadows across my lid and in the crease. They are long lasting and smudge proof with barely any fall out. A slick of La Amo Shimmer in Seduce gives a classic red lip. Seduce is creamy, bursting full of pigmentation and long lasting. A beautiful Autumn red, one I'll be getting a lot of use out of. What an absolutely gorgeous lip colour! I like the packaging too, very cute. That eyeshadow colour is so stunning, it suits you so well!